For the first time SITA Messtechnik GmbH will exhibit at the PMTS 2019 from April 2 - 4 at the Huntington Convention Center of Cleveland. Our booth 10080. We present our worldwide proven hand-held measuring devices for controlling and optimizing your cleaning process. 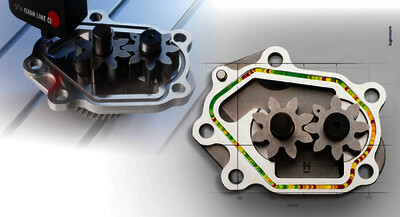 For controlling the parts cleanliness, SITA fluorescence measuring devices detect slightest traces of filmic residual contamination on parts quickly, easily and reliably. With the SITA contact angle measurement you get a fast evaluation of the surface wettability directly at the process of parts manufacturing. For monitoring the process liquids of cleaning processes we present SITA tensiometers to control the surfactant concentration by measuring the surface tension as well as SITA fluorescence measuring devices to monitor the bath contamination. Our experts will provide detailed information about the profitable use of our measuring devices for quality assurance and process control. Please visit SITA at booth 10080. Bring your part samples or process liquid samples and we will measure them directly. For your free expo pass, please contact us. For more updates about the latest cleaning technology you can also attend the Parts Cleaning Conference with our presentation "Cleanliness inspection within seconds" on Wednesday, April 3 at 1:30 pm.